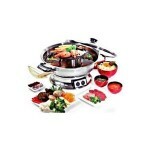 Make delicious Asian meals at home. Impress your guests with superbly prepared teppanyaki and steamboat dishes, cooked to perfection with the Maxim Kitchen Pro Electric Steamboat and Teppanyaki Hot Plate. 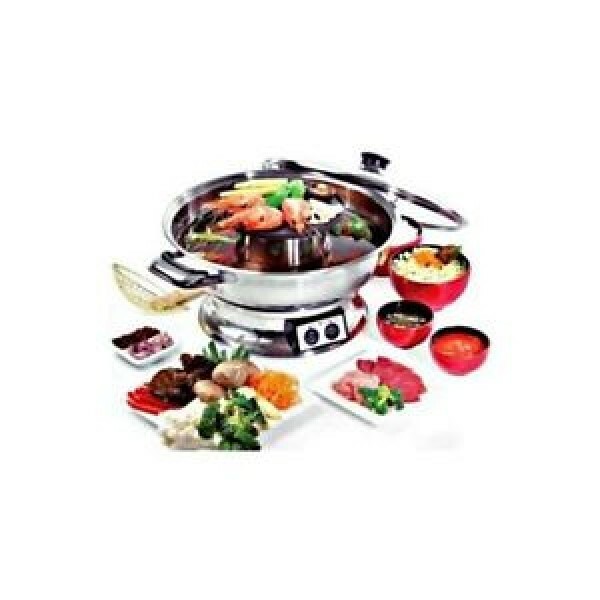 This electric steamboat and teppanyaki hotplate is made with a quality stainless steel finish and features a heavy cast, aluminium non-stick hot plate. With a removable steamboat dish, tempered glass lid and easy to use heat settings, Japanese cooking has never been easier. 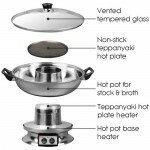 High quality Sstainless steel finish. 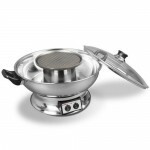 Heavy cast aluminium non stick teppanyaki hot plate. Easy to use heat settings. Measurements: W 34cm x D 21cm x H 33cm.